Skylark Blog: How should a Child's Age affect their Parenting Plan? How should a Child's Age affect their Parenting Plan? It doesn't take a child development specialist to know that children of different ages have different needs. But how do we apply this knowledge to create age-appropriate parenting plans? The greatest key to working out an appropriate parenting plan regardless of age, is being able to communicate effectively with your co-parent (or take advantage of resources to help you communicate effectively such as mediation or collaborative divorce). But if you are not able to work out a plan directly, or need assistance in figuring out what might work best, there are resources available. Zero to Three: Parenting Issues and Parenting Plans For Young Children is an article devoted specifically to the developmental needs and corresponding parenting plans for very young children. In Massachusetts, the Court recognizes that their are certain developmental stages that each child goes through, and that it is important for both parents to be involved in the child's life for their development to be complete. In an attempt to recognize at least some generalities in these differences, a committee of mental health practitioners, family law lawyers and Judges wrote a very useful guide to shared parenting called Planning for Shared Parenting: A Guide for Parents Living Apart. In addition, a similar committee of Massachusetts judges, practitioners and mental health professionals produced Model Parenting Plans, which in many ways correspond to the recomendations suggested by the earlier Planning for Shared Parenting brochure. At Kelsey & Trask, P.C. we have created a Parenting Plan Worksheet to help you visualize these Model Parenting Plans and/or other Custom parenting plans on a color-coded Calendar. Is Divorce different for Men & Women? 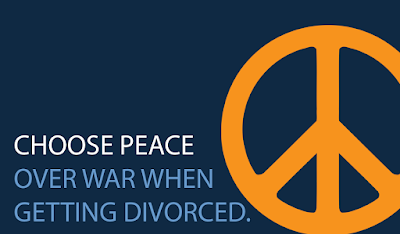 Is a Friendly Divorce Possible?